Home > Blog > 50,000 Women in America Are Injured Giving Birth. Will You Be One of Them? About 50,000 women per year suffer dangerous, and often life-threatening complications from medical mistakes and improper care while pregnant or giving birth in America. Proper medical attention at the onset could prevent pregnancy and delivery complications from spiraling out of control. Women who survive maternal complications can suffer from chronic health problems, infertility, post-traumatic stress disorder, and other severe conditions. Most births occur without complications. However, the number of life-threatening complications occurring during pregnancy and childbirth has more than doubled in the last 20 years in the United States. With almost 900 deaths each year related to pregnancy and childbirth, the United States has the highest rate of maternal mortality in the industrialized world. More than one percent of all births now result in some type of significant complication. For each woman that dies giving birth, 70 more will experience organ failure, hemorrhaging or other serious complications. Women in the United States are also more likely than women in other industrialized countries to undergo a hysterectomy after giving birth. Most complications can be attributed to medical errors, pre-existing conditions and unequal access to health care. 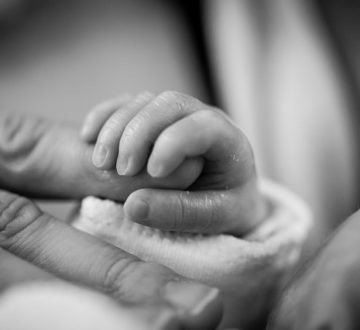 These complications could occur within hours, days, or weeks after a baby’s birth. Work needs to be done in improving maternity care in the United States. In the United Kingdom, doctors are required to follow exact treatment protocols. And when a maternal death does occur, it is examined to determine what mistakes may have led to it. While some blood loss may be normal, excessive bleeding and high blood pressure are not normal. Mothers who experience these complications should be monitored and have their blood loss and blood pressure monitored. It is important that nurses know how to correctly take a blood pressure to get accurate readings. Giving birth is exhausting, but new mothers, their spouses or other family members need to act as their own advocates to ensure they are getting the care they need. This includes asking questions when something does not seem right instead of accepting a health care provider’s dismissal of the complaint.